The meal is served, but it remains invisible. Artist Camilla Nicklaus-Maurer presents 13 odors under glass domes waiting to reveal to the viewer their little secrets. This is the essence of work from the past ten years as well as three new concepts. Thus, on the one hand, the works of art serve the purpose of memory, which is the genuine property of smell. On the other, they giving a glimpse into the future. Finissage: Sun. 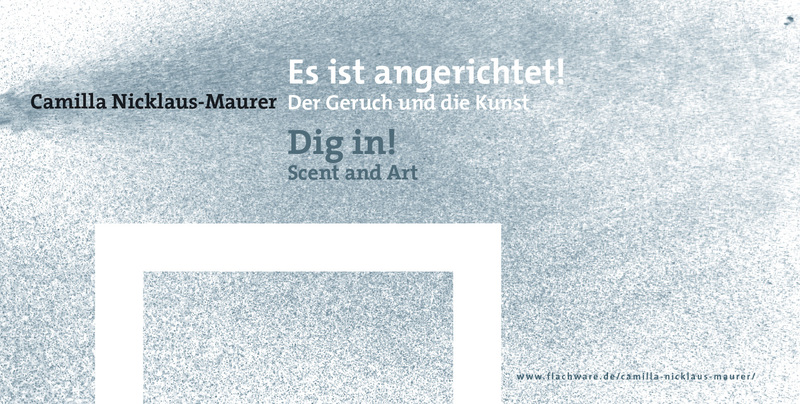 24.04.2016 at 17:00, with a catalog presentation and a conversation with the curator, Prof. Dr. Florian Matzner. The artist will be present during the exhibition period on Sundays. You can pre-order of catalog (in German and English, ISBN 978-3-00-052163-8) directly from her.